There's simply no better choice for tree care services in Berthoud, CO than Diamond Tree Company! Berthoud is a small town just south of Loveland, with many rich, luscious trees that have been around for many decades. Because of this, there are many tree in neighborhoods of Berthoud that require regular maintenance such as trimming, pruning, and branch removal. Diamond Tree Company is one of the most trusted tree care companies is all of Northern Colorado, and is happy to help serve the tree care needs of Berthoud residents. Perhaps you have a old or hazardous tree near your home that could potentially damage your home? We do that too. With full tree removal and stump grinding service, there's no job that we can't handle when it comes to tree care in Berthoud. So what are you waiting for? Give us a call at 970-493-8733 for all of your tree care in Berthoud, CO. We look forward to working with you! Wellington is a small town about ten miles north of Fort Collins. For those that are not familiar with Wellington, it is considered to be the northern gateway to Colorado, as it is the very last town just off I-25 before arriving in Wyoming. Wellington has been steadily growing since 2000 with the Northern Colorado housing boom, and is no longer considered a pit stop for truckers as it once was. Wellington is close to the Budweiser plant, and has one of the best middle schools in the nation, as ranked by several publications - Wellington Middle School. 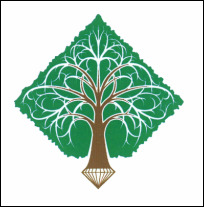 Diamond Tree Company is proud to serve Wellington, Colorado with our expert, ISA Certified Arborist Services. For Tree Removal, Tree Trimming, Tree Pruning, Tree Thinning, Stump Grinding, Stump Removal, Chimney Sweep Services, or any other Tree Care needs in Wellington, give Brett Thomas at Diamond Tree Company a call today at 970-493-8733.